A new guidebook has been issued to help farmers, fishermen, aquaculture producers, and other local food and beverage producers promote and market their products online. 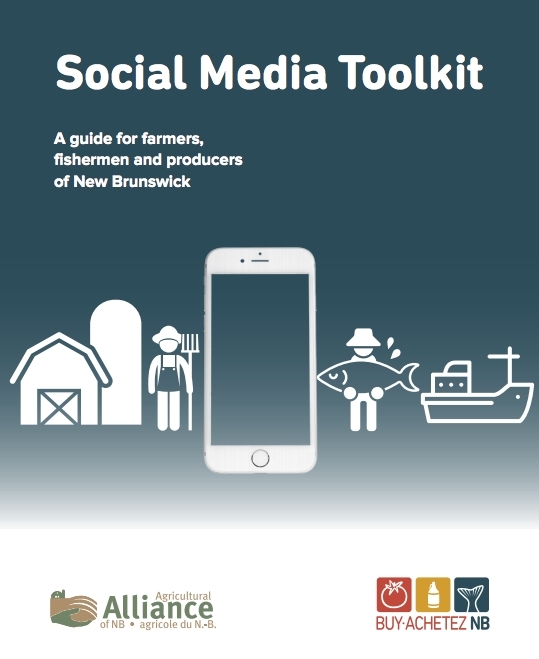 The Social Media Toolkit: A Guide for farmers, fishermen and producers of New Brunswick was released during the annual meeting of the Agricultural Alliance of New Brunswick. The guide was developed in co-operation with students from Renaissance College at the University of New Brunswick who identified the need for a resource which teaches producers how to effectively market their business and products on social media platforms. "Our producers put their heart and soul into the food they provide to New Brunswickers and to clients further afield," said Agriculture, Mines and Rural Affairs Minister Andrew Harvey. "We heard from stakeholders that there was a need for more understanding of social media and the channels available to them. By gaining an audience online, our food producers can further highlight the wealth of high-quality, nutritious food available in New Brunswick, attract new customers and add even more value to our agri-food industry. We know the success of our producers helps create jobs and generate revenues that pay for services all New Brunswick residents rely upon, like health care and education." "The market for local, exports and value-added foods in New Brunswick is growing," said Mike Bouma, president of the Agricultural Alliance of New Brunswick. "Improving the reach of farmers on social media doesn't just connect farmers and value-added local food and beverage producers, it also helps grow the market by showing New Brunswick consumers what is available from their community and in their province." Click here to read the Social Media Toolkit: A Guide for farmers, fishermen and producers of New Brunswick.